05 MarIs your website secure? Perhaps not everyone has noticed it, but since the end of September Google has been sending alerts to Search Console  and is asking via email to secure websites, going to https. In addition, one of the most used browsers has been updated – Chrome – to more clearly mark the “Unsafe” websites. Do not worry: I’ll explain what happened and how to be prepared for this new evolution of the web. Initially, the transition from HTTP to HTTPS  was advisable for websites with restricted areas that required the entry of passwords or payment data (eg. credit cards in e-commerce websites). The news of the month of August was the official email notification (on Gmail) from the Google team and the introduction of the “Not Secure” label for HTTP pages on Chrome from version 62 onwards. 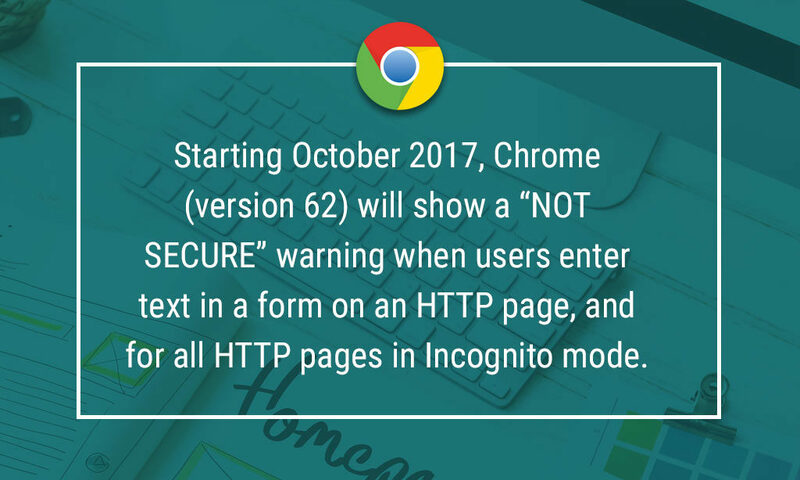 In a recent announcement Google has confirmed that when users visit HTTP sites on Chrome they will be marked as “Not Secure” from July 2018 with the release of Chrome 68. Well now it is critical if you want to be seen as a trusted source for your site visitors. Google has detected at least one page with fields (forms) that collect sensitive data. The site is not completely secure. 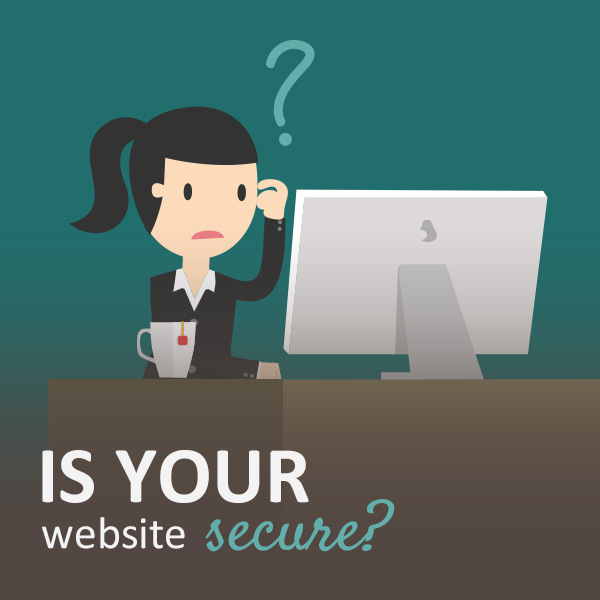 How can you see that your site is not secure? You can check it simply by looking at your browser. Here’s how the browser indicates if your site is not secure (with http) or secure (https). Why should you go to the secure https protocol? By not adopting a secure https protocol, your website will be referred to as “Not secure” and this may prompt the user not to make acquisitions, reservations, access to restricted areas and even requests for information. Exactly: if the problem of security used to concern mainly e-commerce and password access to restricted areas, now it’s reported with NOT-SECURE label on those websites that simply submit a form for the info request. Worsening of the user experience, where the user is not satisfied with navigation on an unsafe website and probably will not return. In addition, Google has repeatedly stated that it considers security a priority and in an article on its official blog (dating back to 2014) already stated that the use of https would become a factor of positioning on search engines. This means that websites that use a secure connection are better positioned than those that don’t. If you want to avoid all this, you should think seriously about switching to a secure connection protocol. If you need support or want more information, I am ready to help you! Search Console is a free tool by Google that allows you to monitor different data on your website and its presence on search engines. HTTPS: Hyper Text Transport Protocol Secure is the protocol that allows the transfer of data on the web in a secure way. “S” refers to the SSL certificate used to encrypt and authenticate data traffic on the web. The data on the web is transferred through two parts that communicate: browser and web server. If the transfer is encrypted and the source is recognised as trusted, the data is safe from unlawful acquisition attempts.